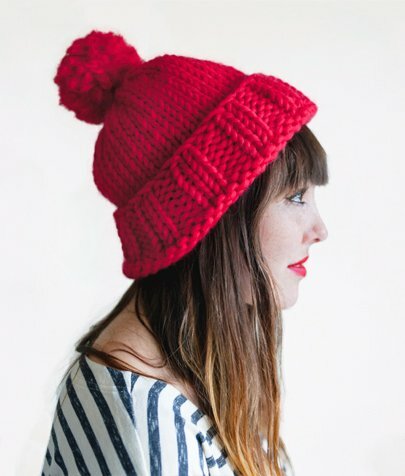 The Big Hat is great for ambitious beginners looking to increase their knitting skills. 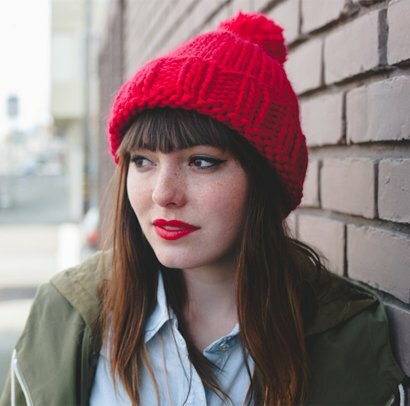 Made in super bulky yarn, the Big Hat knits up quick into a thick, warm fabric. 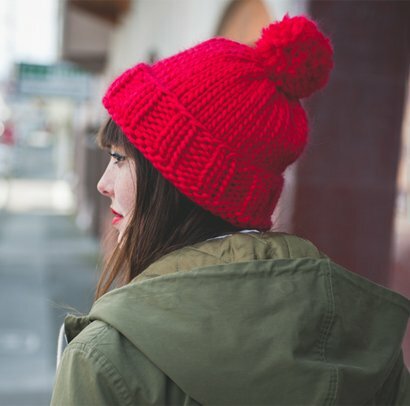 A big pom pom and a hint of reverse stockinette stitch adds a hint fun and play – the perfect antidote to cold, wintry days! 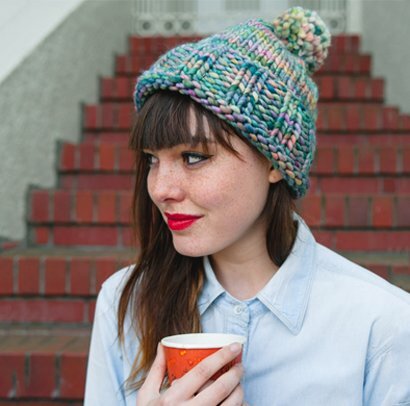 To watch the tutorial videos on how to knit the Big Hat, head to the project page.